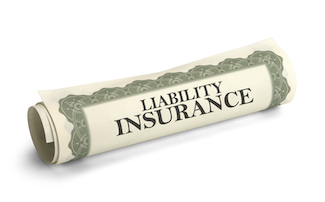 Primary insurance coverage will protect you from lawsuits, but only to a certain point. That’s where the Home and Highway Personal Umbrella policy comes in. It’s a way to avoid risking everything you’ve spent years working hard for–the more you own, the more you stand to lose. The Personal Umbrella policy is designed to shelter you from the storm by providing you with a large additional layer of liability insurance. This gives you valuable coverage against claims or legal actions that are not included or covered in your primary policy after you satisy the policy deductible. The Personal Umbrella limit begins at $1,000,000; higher limits are also available. Talk to your independent insurance agent about the amount of coverage that’s right for you. Kincaid Insurance offers personal umbrella insurance for individuals in Indiana, Kentucky, and Illinois. Your primary policy covers you to a point…but if something catastrophic happens, you could still lose just about everything. For example, if you were involved in an accident that disabled the other driver, you could be sued for upwards of one million dollars. Your primary auto policy would provide protection up to the policy limits, but it could fall far short of your needs, putting your assets and future income at risk. The Personal Umbrella provides $1,000,000 of liability protection not typically covered in standard liability insurance, such as: activities as an officer or director of a not-for-profit organization, liquor law liability, worldwide coverage, blanket contractual liability, and even legal defense in these areas when coverage isn’t provided by your basic liability coverage. Is a Personal Umbrella Policy Expensive? In most cases, umbrella liability insurance is one of the most affordable insurance products you can purchase. Call one of our independent insurance agents today to discuss which plans would be best for your unique needs. We currently help individuals find affordable personal umbrella insurance in the following communities: Indiana, Kentucky, Illinois. We have customers spanning this area, including businesses located in Evansville, Newburgh, Boonville, Rockport, Jasper, Vincennes, Haubstadt, Terre Haute, Corydon, Princeton, Washington, Tell City, Ferdinand, Henderson, Owensboro, Louisville, Madisonville, Carbondale, Mt. Vernon, Olney, Fairfield, and many others.